Chris Urch’s debut play was a critical triumph when it opened in 2013, winning Time Out’s critic’s choice and fringe show of the year. 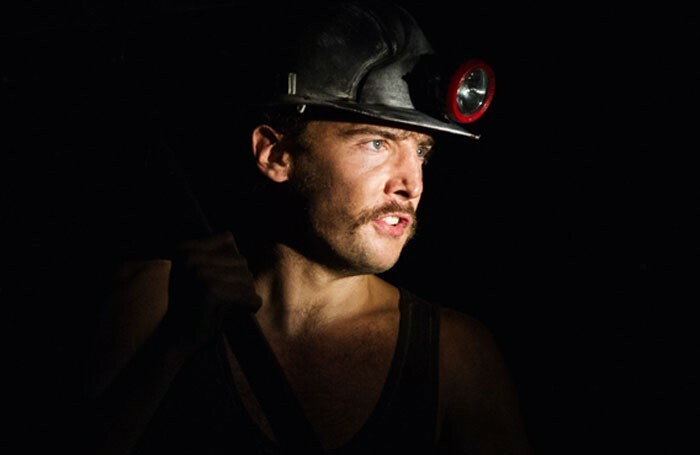 A story so inherently Welsh requires a Welsh audience, though; and so, two years later, Theatre503, Wales Millennium Centre and Tara Finney Productions bring Land of our Fathers home for the first time. Coming home is important, as the play’s six Welsh miners will attest to. Waiting to be rescued from a coal mine, they spend their solitude pining for the world that goes on above their heads. It seems to have forgotten about them, though – and as Margaret Thatcher edges ever closer to power, the men have already made their coffin underground. Urch’s script is a symphony of lost voices – Chopper (Cornelius Booth) wants to leave a legacy; Chewy (Taylor Jay-Davies) wants to get out for good; and Curly (Tomos Eames) is there because it’s all he knows. Thanks in large part to a superbly claustrophobic set, director Paul Robinson pushes these opposing figures towards each other with tremendous effect. He conducts proceedings with a deft touch, allowing his exceptional cast to mine laugh-out-loud humour from sequences where it shouldn’t exist. Something as trivial as the dropping of a biscuit elicits an almost pantomime-like response from the audience, but when things stop being funny, the silence is deafening. As the lights go down at the end of this masterpiece, the six men drop to their knees and sing one last time. They sing of home, of Wales. And as their voices rise, so too does the packed auditorium. It’s breathtaking.